← Calling All Camry Fans! 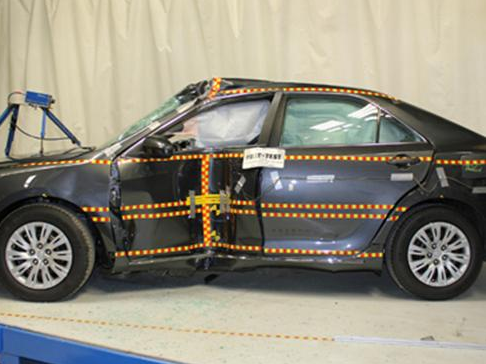 2012 Toyota Camry Earns NHTSA 5-Star Crash Rating!! We all know that when it comes to vehicles, safety is paramount. Earlier this month the NHTSA (National Highway Traffic Safety Administration) awarded the 2012 Toyota Camry a 5-star. No wonder seeing as the 2012 Toyota Camry is one of the year’s safest vehicles with 10 standard airbags, stability control, and ABS. In total, the 2012 Camry has earned four stars for frontal-impact protection, five stars for side-impact protection, and four stars for rollover protection from the NHTSA. Posted on December 22, 2011, in Automotive and tagged 2012, 5-Star, airbag, Camry, Crash, crystal, Crystal Koons, Koons, Krystal, Krystal Koons, NHTSA, protection, Rating, rollover, safety, side-impact, Toyota. Bookmark the permalink. Leave a comment.